The Swiss Institute and Performa in partnership with Joyce SoHo are pleased to present the first dance project by Mai-Thu Perret in collaboration with Laurence Yadi. The show Love Letters In Ancient Brick will be performed daily at 8 pm from November 3 to 5 at Joyce SoHo, 155 Mercer Street. Visual artist Mai-Thu Perret presents Love Letters In Ancient Brick, her first dance project for the stage, realized in collaboration with choreographer Laurence Yadi. 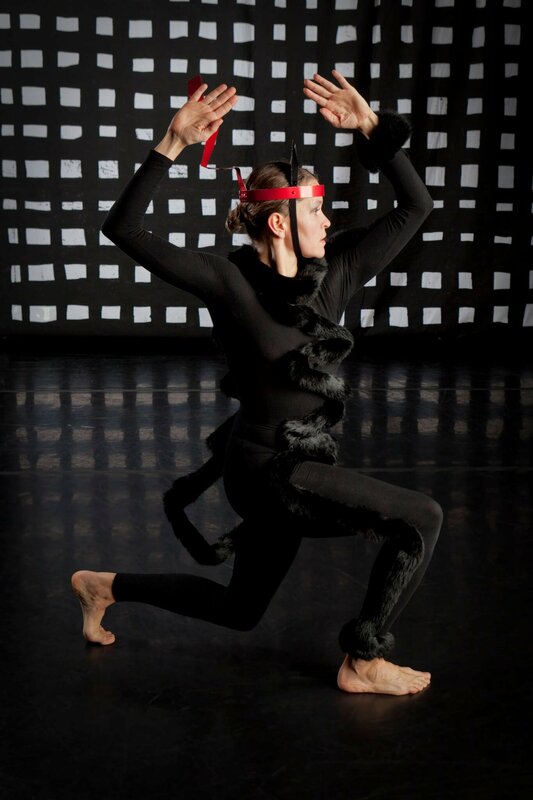 Inspired by George Herriman’s famous comic book, Krazy Kat, Perret has developed a contemporary ballet depicting the curious love triangle of the protagonist Krazy Kat; the obsessive antagonist, Ignatz Mouse; and the protective police dog, Offissa Bull Pupp. The ensuing performance conjures up a primal, almost psychoanalytical drama where genres and categories are constantly slipped over and jumbled. Performances in New-York have received financial support from Pro Helvetia, Swiss Arts Council, Geneva City; Fonds Municipal d’Art Contemporain (FMAC); Geneva State – Department of Education; Schweizerische Interpretenstiftung (SIS); The Joyce Soho Theater Foundation; David Kordansky Gallery; and Théâtre de l’Usine, Geneva.